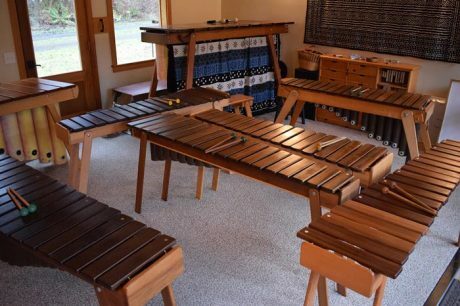 Island Marimba Studio is once again gearing up to start our Fall Session of marimba lessons. The beginning class will be on Wednesday evenings from 5:00-6:30. The time can be changed to suit the group. The Fall session will begin on October 10 and last 10 weeks for a cost of $120. My studio is located here at my home in the SW corner of the island. Learning to play marimbas is FUN and EASY. No previous musical experience is necessary. This is a group experience, so sign up with a friend or come and make some new friends.